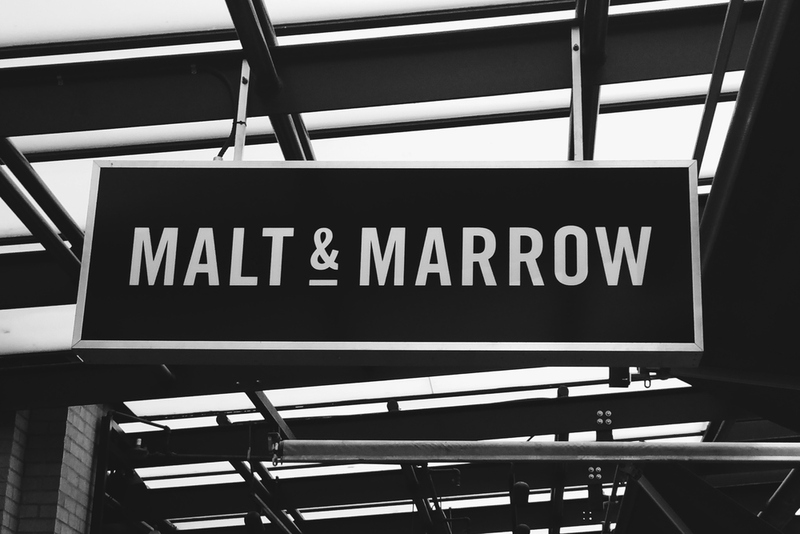 Malt & Marrow is one of Vancouver's newer restaurant additions which boasts of "good drinks, good food, and good company" with Northern European influences. 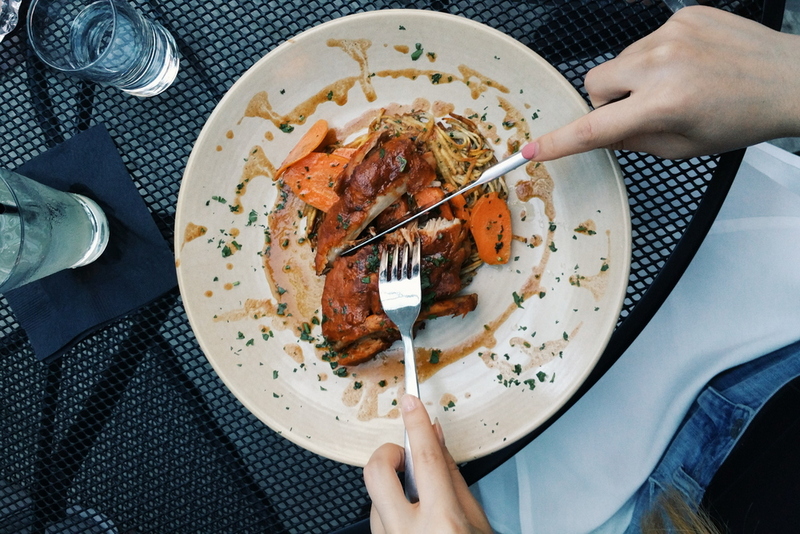 Looking for some West Coast cuisine in the area, my friend and I decided to try out this modern gastropub and take advantage of their lovely patio area. 4.75/5 - I don't think many Western-oriented restaurants know how to make or appreciate good duck wings and like to focus on chicken wings instead. The duck wings are amazing here. Although duck wings don't have much meat, the pronounced duck flavour and added toppings made the best of the minimal duck meat. My favourite flavour was the sea salt and pepper as it accompanied a drier wing while I found that teriyaki sauce didn't really go well with the softer/"wetter" wing. 4.5/5 - Overall I really liked this dish. 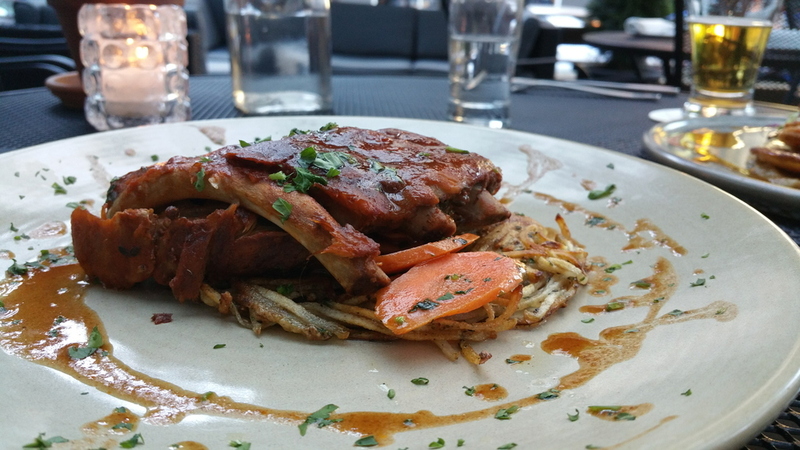 The ribs were soft and tender and there is a very apparent taste of thyme. Think of a bag of Hickory Sticks..now think of them still in raw potato form and fried to form a layer of crunchy, chewy and flavourful goodness. Yea, I maybe loved the potatoes. Very soft yet slightly crunchy carrots make more a lovely side. I will say that I would have appreciated more sauce to drench my meat in. 3.75/5 - Not a spectacular dish but it was okay. I expected a better execution of the duck after the duck wings order but was instead met with duck that was still a bit too rough to enjoy completely. Great sauce and roti however. 5/5 - If the ingredients don't already have you drooling, then I don't know what will. I love nut-based ice cream and this roasted almost ice cream is no exception. Very well accompanied by chunks of very chocolatey brownies and caramel & chocolate sauce. I felt so guilty eating this after going to the gym earlier but it felt so good. Great simple food executed decently. I love their presentation with each dish, it's not too plain and not too crazy while incorporating the dish's necessary ingredients. After my one visit, I would probably recommend their appetizers and desserts over their main courses, which to me feel like they need a bit more improvement to be justifiable for their prices. The service here is something I wouldn't mind returning to as the staff and atmosphere of the restaurant alike are pleasantly welcoming. 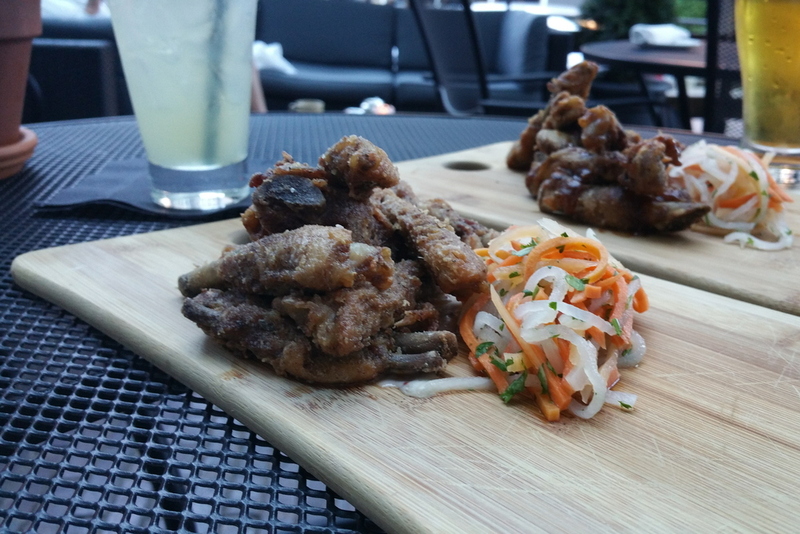 With a very decent selection of beers and cocktails, I can see myself returning for a few alcoholic drinks while munching on a few plates of duck wings.